Perhaps you've noticed that you are not receiving loads of credit card offers in the mail anymore. Remember how many you used to get during the credit boom years? Tons. Back then, you may have asked yourself, "how are banks able to make money with credit cards by offering credit to just about anybody? Aren't the bad apples who pay late or default going to cost the banks millions, if not billions?" Good question. American banks were able to make massive profits from all types of consumers -- including the subprime borrowers -- because they were free to reprice cards whenever they wanted. 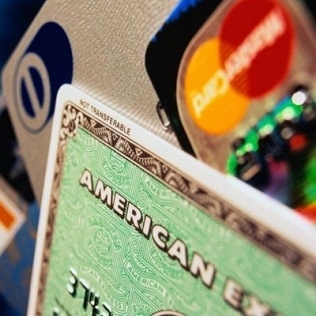 Even so called fixed-rate cards could be repriced, with little warning. That new credit card customer who turned out to be irresponsible with his finance, as evidenced by late or missing payments, did not phase the banks. As soon as Joe Spendthrift started paying late, or not at all, the banks were free to simply jack up his interest rates to usurious levels, and charge him late fees, over-the-limit fees, telephone payments fees, etc. It was a good time for the banks. They made billions. Because banks can no longer reprice credit cards the way they used to, they've had to ditch those tried and profitable models that worked just fine during the boom years, and figure out how to make money within the limits of the new law. Fees and fee traps have been reigned in. Disclosures and terms will have to be easy to access and understand. No more retroactive rate increases. The credit card banks are also working within the context of the worst recession since the Great Depression. Moreover, since the market for credit card receivables dried up during the early part of the credit crisis, banks won't be able to sell credit-card debt to investors as easily as they used to; not even close. Documentation requirements: you may have to provide copies of recent paystubs to prove that you are really earning what you declare on your credit card application. Are we returning to the days when everyone paid a 19.99% annual percentage rate with an annual fee to boot? I doubt it. But terms and conditions won't be favorable until the economy returns to prosperity and banks have had time to figure out how to make strong profits while conforming to the new credit card regulations. For more on the Credit CARD Act of 2009, visit this page and this page. I have also a noticed a sharp decline in the number of those offers coming into the mail. But, I have noticed a sharp increase in the number of web advertisements that "big name" credit card companies sponsor. Perhaps this will be the new method of hooking customers in?